I spent about 8 hours in this position yesterday. Starting to see some progress on the coif. The top is done and now working on the forehead and the side of the head. I can’t wait to get to the face part! Less “stitches” per row! 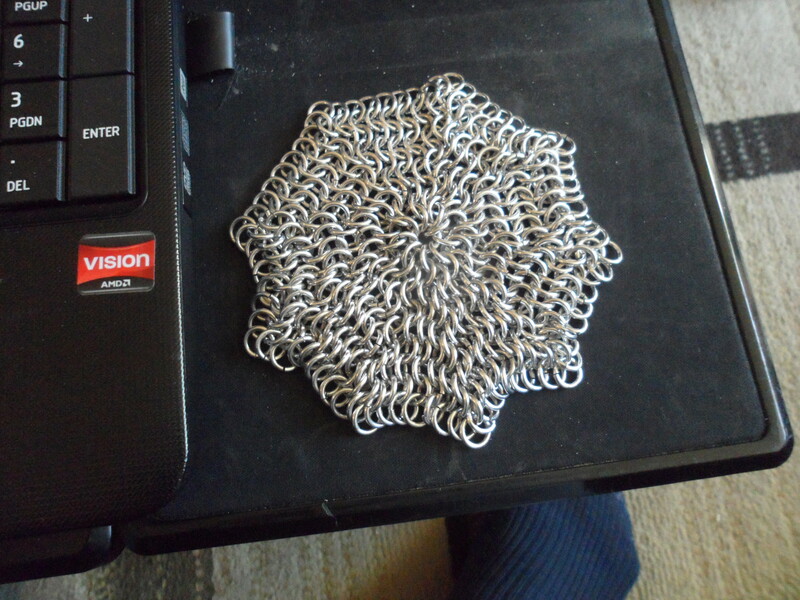 I know that isn’t the correct term but I am a knitter not a chain mail maker and I don’t know what the correct term is! In this photo, I would place Britta at mid to late teens-early 20’s at the oldest. I love it when there are names and dates on the cards. If it is correct, you can make assumptions. One assumption was she was married. If the dates supplied on the back of the card are correct, we can glean two things…1) she did not live long. She would have been 37-38 when she died. Did she fall to the dangers that many married woman fell to-child birth? 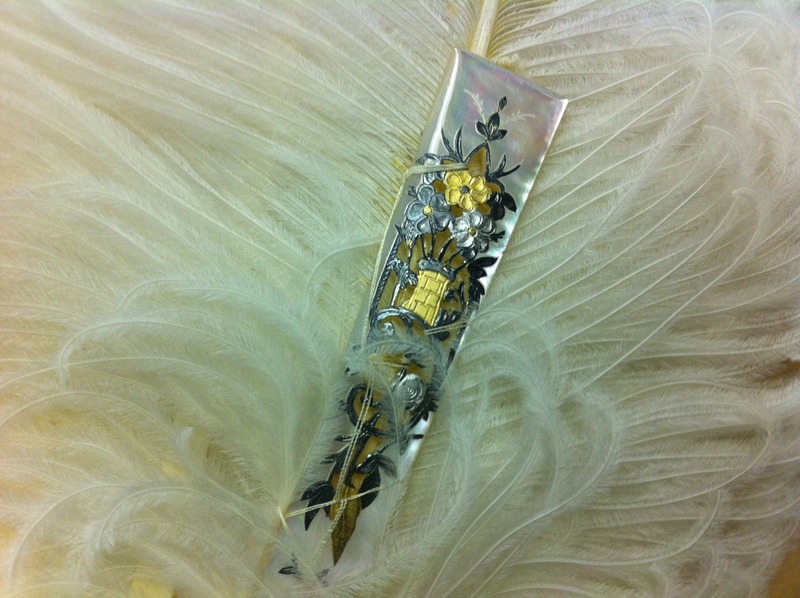 The second thing we can glean is the date of the card. 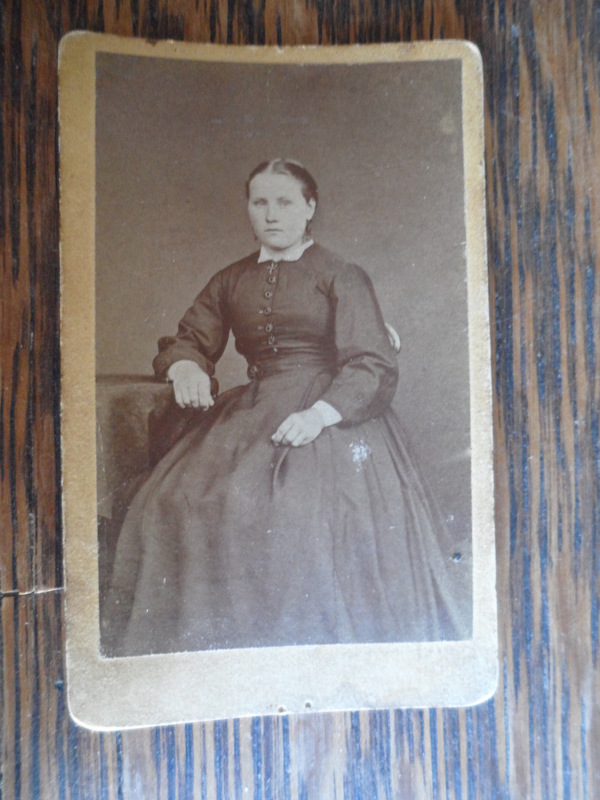 If she was mid teens to early 20’s then this card was made around 1870-79. The dress is in good condition but fairly plain and there is very little jewelry (just a small pin at the throat) so we can guess she was not dirt poor but neither was she rolling in the cash! The maiden name is not British. In Canada (and I assume it was the same for the States) the ruling class tended to be from Protestant Britain. Her name is possibly German. She and her family would have been considered immigrants and worker class…possibly farmers. 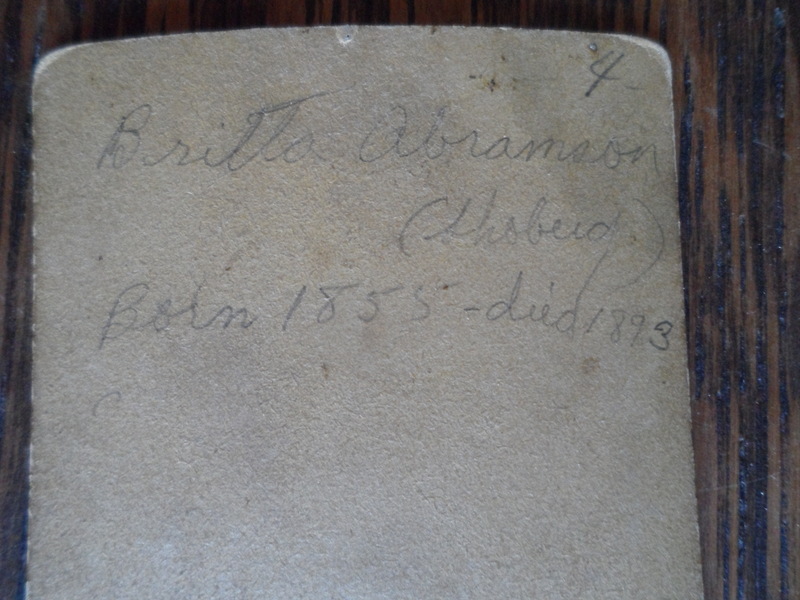 The married name is possibly English. I was pleased to add this card to my collection a few months back. 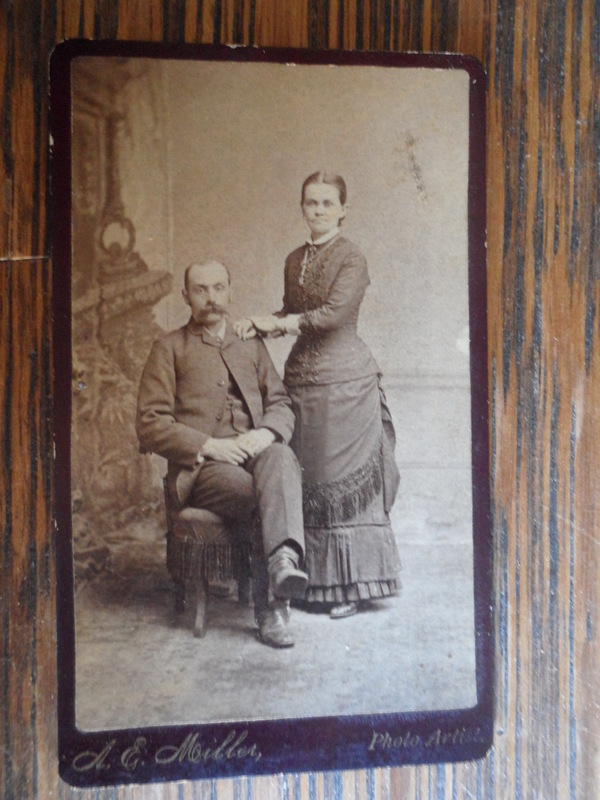 I think this would be from the mid to late 1870’s judging by the style of hair and dress. I liked the lower layer of pleats on the skirt. I don’t know about the upper layer…it makes the lower layer look like it has been added on to make the skirt longer. 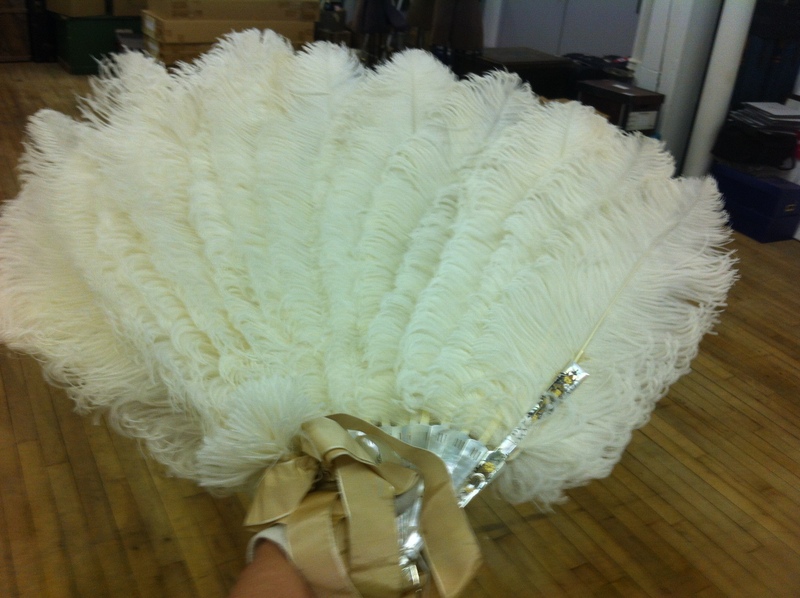 The fringe on the over skirt is so 1870’s! Love it! But the bead work on the bodice is the best part! One day I will have to try something like that! That bead work makes me think these two are wealthy or that this was a best dress for a very special occasion! Oh and here is a tip…zoom in on her shoe. Does there appear to be some sort of pattern on it? One of the hazards of living in my burg is the melt/freeze cycle that happens every spring and fall. It makes walking and driving a risky business. A couple of weeks ago, I fell while walking the dog and landed on my elbow. Having my not inconsiderable weight come crashing down at colossal speeds is a bit rough on the joints and it seems my shoulder has taken the worst of it. I wasn’t too uncomfortable at first but lately I have crumbled to the point of crying like a baby. 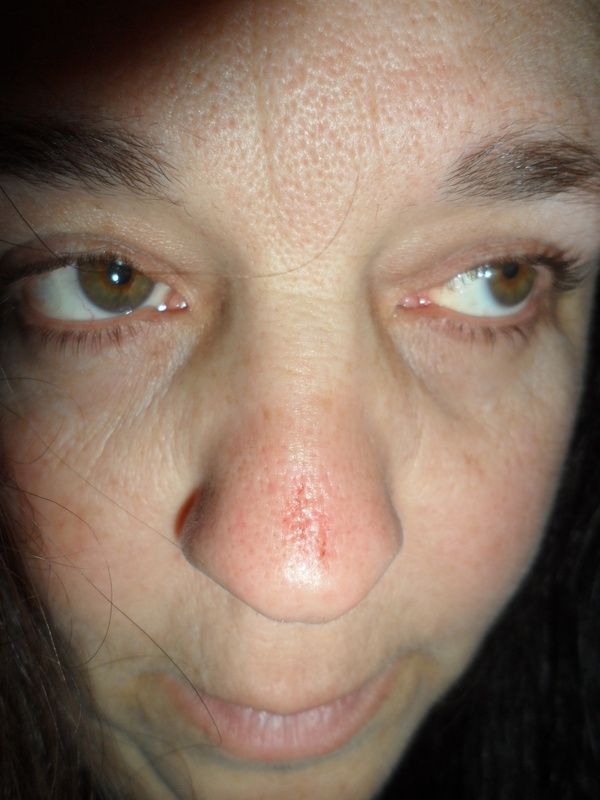 The doctor hasn’t completely decided what I’ve done to myself so he hasn’t really got a game plan for me either. The jury is still out on whether he has my pain under control enough for me to function while he gathers his facts. This means that some of my sewing and volunteer things may be curtailed a bit. Hopefully, work wont be impacted to badly. I’ve had a few days off of work so Monday was spent in some binge Netflix and making headway on my son’s birthday gift and my submission for challenge #4 for Historical Sew Monthly. 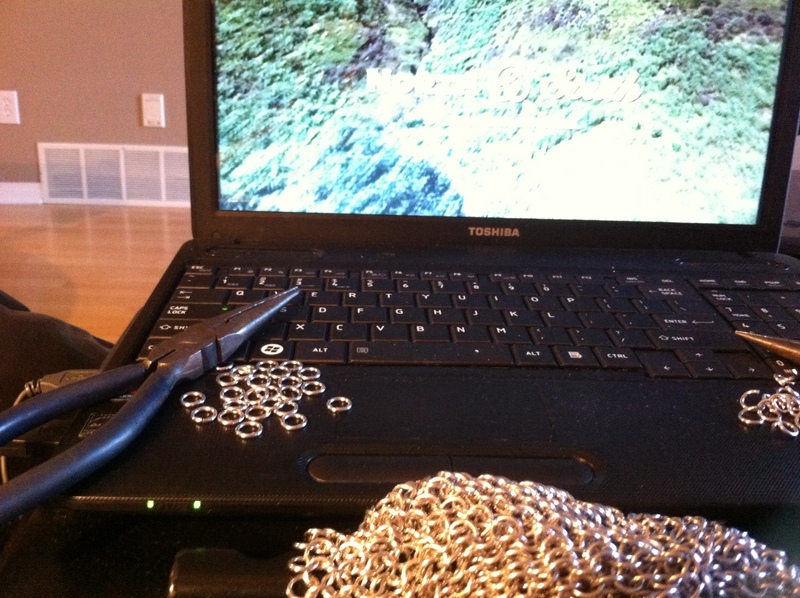 After 8 hours I had produced a circle of chain mail that might cover my husbands bald spot…. But only a dress maker would do this. I started to fret that it wasn’t hanging right. Who does that? I don’t think there was ever a chain mail maker who worried about the drape! The directions suggested making a hexagon but I was having trouble making it make a full circle when it was shorter so I made it a 9 sided piece. But it wasn’t hanging right. It was bunching so that you couldn’t see the weave…and I also became concerned that I was going to run out of rings before I was done. Gah! So I spent two hours removing 3 of the sections, reconnecting the pieces and dismantling the removed part so I could reuse the rings. But I think it looks much better. I added the pins to the corners (2 where I will start the next row) as it helps me keep track of where I am and also helps me remember to add an extra ring at the corners so that it will keep getting bigger. So what do I mean “I was caught red handed?” Did my son catch me working on his gift? No. I think he knows something is up because every time he walked by, I guiltily hid the completed parts and just worked on opening more rings. Then I LIED to him and told him I was making jewelry. And now I don’t think he cares what I am doing. “Woman’s crap…bah.” It might get harder to hide as it gets bigger! No the “red handed” comment refers to what happens to your hands when you use pliers for 10 hours with no gloves. Just shy of blisters. There is a white strip on my ring finger because I taped it there as it was starting to hurt almost from the beginning. I think I will need to find some work gloves if I’m going to binge weave like that again! The plan is to make a birthday gift of a chain mail coif for my son who is into knights. He has a helm that we bought him one year for his birthday. Now I’d like to make the coif. 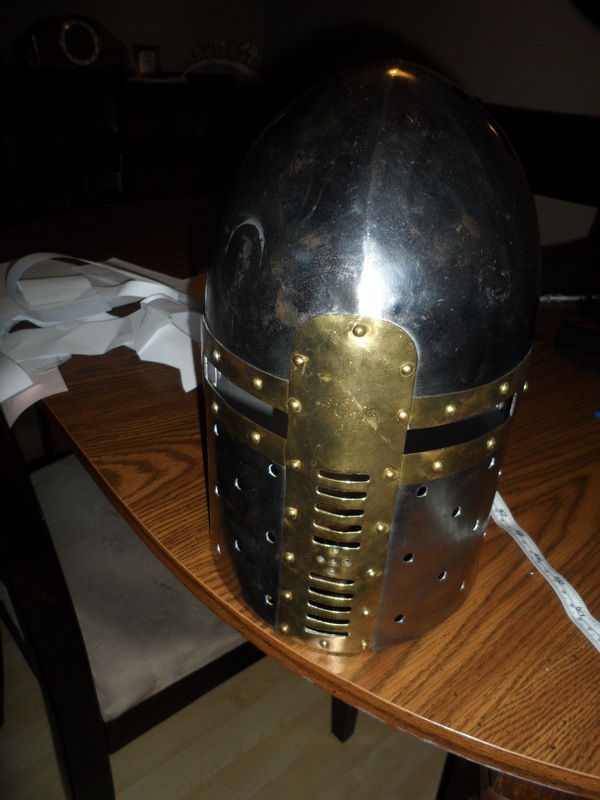 But, there is a padded cap that goes between the head and the chain mail and helm. The cap helps with fit and keeps the metal bits from hurting the skull…especially when someone is slamming a broad sword into them! 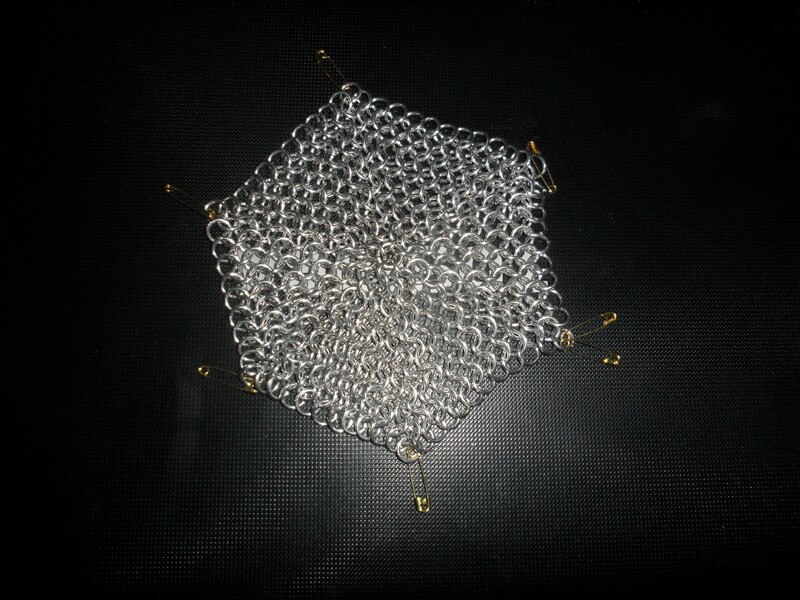 In order to make sure I make the chain mail coif big enough, I thought I should make this padded cap first. Luckily, my son has inherited my massive melon and I used my own head for sizing. 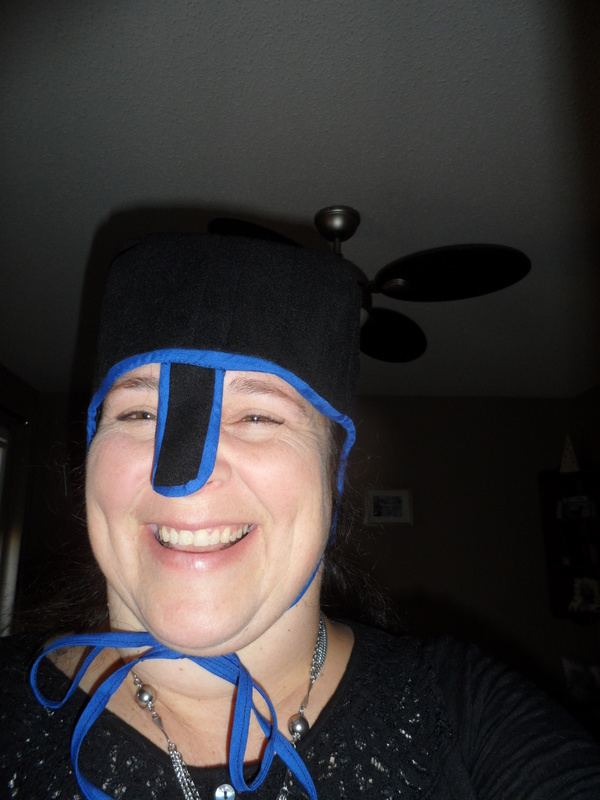 What the item is: Padded arming cap. Pattern: drafted from these instructions which I adapted out of necessity. After trying it on with the helm several times for fit, I was reminded that this helm has a tendency to scratch the face! Ouch. How historically accurate is it? The pattern is okay. The fact that I adapted the pattern based on the needs of the helm it would be worn with is very likely an authentic move. It never would have been fleece (even if the fleece is made from a natural fiber) and it wouldn’t have been machine sewn. And I’m not sure about the bias tape. I don’t know how they would have finished the edges. I’d give it 50%. I don’t think my kid is all that worried about accuracy. If he ever does start to care, I now have a pattern I can use with something more authentic. The cap has enough flexibility that I can add some padding to it if my son still finds that the helm moves around or sits too low on his face (so that he can’t see). I don’t want to add that yet as the chain mail coif will take up room and affect how the helm fits. If the coif goes well, next year might find me making the gambeson and chain mail shirt.